Bluing (USA) / Blacking (British) - A controlled chemical rust process, using specially formulated dissolved salts, that produces a very dark, almost black, blue finish to the steel parts of a firearm which enhances the appearance and provides some protection from unwanted rust---as done on the barrels of the above shotgun. Sometimes it can have a slight brownish undertone. 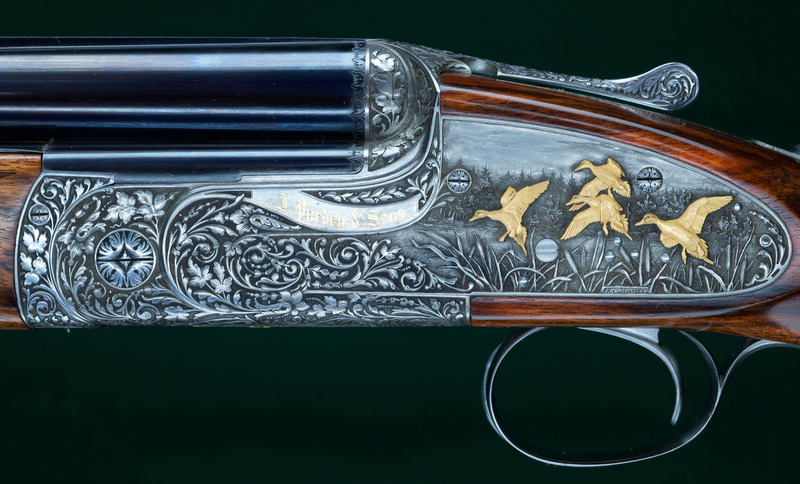 The percentage of blue finish remaining on a gun can be a proxy for describing its condition.